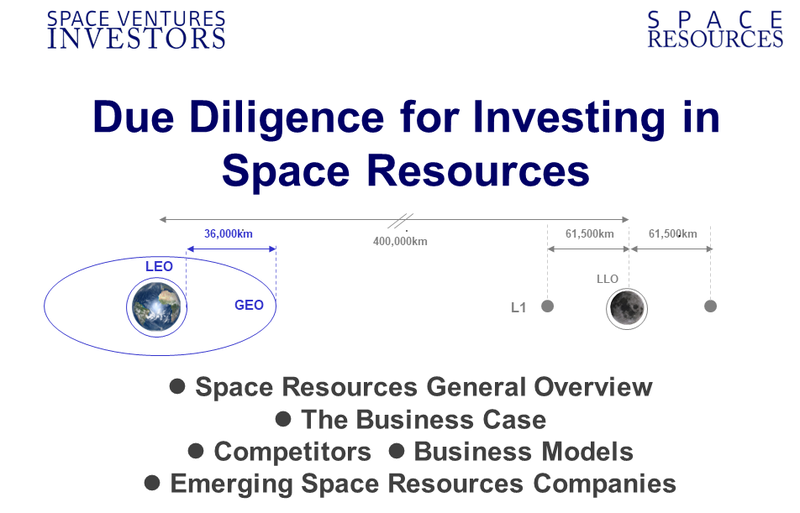 Since 2014 Space Ventures Investors has been researching Space Resources business models. Most of the concepts are understood, but all the different types of technology required to build a value chain (or as we call it, a Strategic Space Value Chain), are not. Therefore, our strategy has been to research the companies that make up the different parts of the value chain. Ultimately, to make Space Resources a reality, it comes down to organising capital into projects that focus on a very specific business cases, such as extracting water from near earth asteroids, or mining platinum group metals on the Lunar surface. ‣ Companies pursuing Space Resources, (asteroid mining and Lunar operations) businesses. ‣ New and imminent opportunities in Space Resources; what to invest in right now. ‣ Modelling the change in supply of commodities from space on earth markets. Project Funding; Sydnicates of private investors, corporations, governments. Corporate structure that out-lives and survives macro-economic events, e.g. depressions, currency wars. Aligning with governments that pro-actively create legislation that is pro-space resources. Finding companies that develop specialised robotics, automation, and analytics that will be used in space resources operations. Low-cost launch providers for Deep Space / Near Earth Orbit Missions. Space stations that are transport hubs, storages centres, scientific & commercial facilities (e.g. mineral refining) or a destination, (e.g. a space hotel). Solar installations in space that generate and store energy. Water storage installations that are commercial �pit stops� for transport vessels. 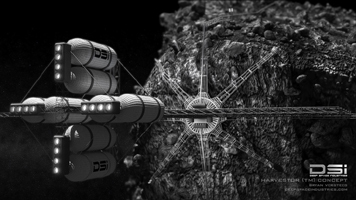 Deployable resources extractions operations targeting the Moon, other Planets and Asteroid Mining. Ongoing study of surface terrain for anomalies. This is a new field of Lunar observation (using low-cost CubeSats or Small Sats with specific hyperspectral equipment) and algorithms to detect targets of interest. What is high value in relation to earth resources? e.g. Platinum group metals. What is high value in relation to resources required in space in line with 3rd party activities in space? e.g. Water. Find multiple high value Targets within easy reach. What technology is available, from extraction, refinining, to return to Earth or to an orbiting facility? Joint Venture: Which traditional industries will step up to Space 2.0? 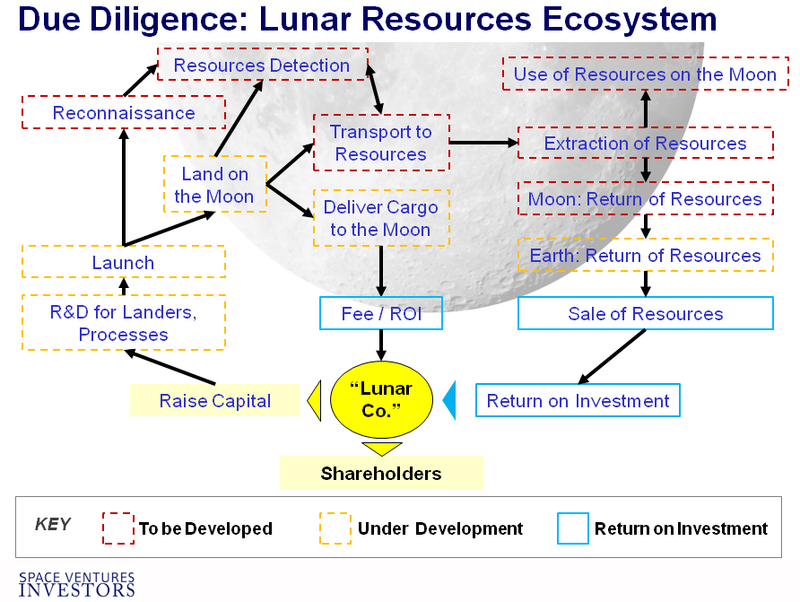 In April 2016, Space Ventures Investors was approached by a High Net Worth Individual to conduct an evaluation of the business model of a high profile US-based company, code-named �Lunar Co.�, that is planning commercial operations on the moon. Interested in investing in a balanced portfolio of Companies Mining the Moon, Harvesting and Mining Asteroids, and Extracting Resources from Space? What Companies are Focussed on Exploring and Commercialising the Moon? Various companies (some listed below) are involved in developing the technology and processes to partake in Lunar surface operations. There are also numerous other companies, some listed, that are creating the technology (e.g. CubeSats, launch, communications) required for operation around and on the Moon. What Companies are Focussed on Asteroid Mining? The two companies below were involved in developing the technology and processes to partake in asteroid mining operations. They focussed on specific parts of the business model, and have subsequently been acquired. Planetary Resources - Space Resources, Asteroid Mining, Earth Observation. Asteroid Mining has attracted noteworthy attention, from the media, venture capital, and grass-roots technological theorists on how best to execute an operation. Estimates range from 2022 to 2025 as when operational asteroid miners will be proving their theories and technology to their financial backers. More important the technology an capital required to send asteroid miners into space is the mandate to do so: Signs have been encouraging, the goals are quite clear and the objective realistic � why mine on earth when there an abundance of asteroids? Investing in Asteroid Mining is an important strategy for Space Ventures Investors, and our view on how and where to proceed is shaped in part by our own Space Commerce Road Map and our following moderate projections on how the business will evolve. The value of material, as determined by their scarcity on earth, e.g. precious and rare metals, has to make an asteroid mining operation viable. However, if all the gold in the world (which would fit into a large house, and only increases 1% per annum due to its scarcity) where to be extracted from asteroids and eventually transported to earth, the price of gold on earth should theoretically halve, or worse fall further, due to the unknown quantity of gold in asteroids yet to be extracted. Precious and rare metals will always have value in a technological progressive world, and the eventual how and when of a pay-off (including an investor exit) needs to be key to any strategy to invest in proposed asteroid mining. There are many exotic minerals that have a high worth, yet the problems of finding and extracting them on earth might be just the same as in a hostile asteroid belt. There is also the substitute factor � will solar always rely on silver? On a positive note, who dares wins: An agile first-mover operation with a clear directive (e.g. to corner the market on a particular set of minerals) has the advantage. The value of the material, as determined by their use in space, supporting space missions and space infrastructure, e.g. water and metals, is probably more interesting and feasible. Disregarding lower launch costs when shipping material into space like water and energy, finding these resources in space makes sense. But to launch large scale asteroid reconnaissance missions, fund and man extraction and refining operations, lower launch costs are integral to funding and operations. For space infrastructure, then comes the required pay-off between hauling resources, energy and materials into space from earth, or going to an asteroid belt, locating, extracting and refining them. The combination of fabrication in space and asteroid mining (that is extraction of minerals, refining and production in space) plus the use of automated systems like robotic personnel, offers the greatest value and use of space resources. Large ambitious space missions, like colonizing Mars or establishing a permanent base on the Moon, may have to bring their water with them � it is far easier to divert an icy asteroid than to pump precious water up from earth. Following the principles of existing mining explorers, asteroid mining follows the same process: An Asteroid Mining Company attracts investor capital to search, locate, extract and return / despatch valuable material from asteroids. What is deemed valuable may change: precious metals, water, titanium, hydrogen or something yet to be identified. The timeline of the operation will be at least a decade, and as technology improves, half that. The two biggest questions will be cash flow, and the changing value of the target resources as the operation progresses. Rising value increases investor appetite. Decreasing value could mothball an asteroid mining operation even after it has executed 90% of its goals � then up steps, in time, the next round of asteroid mining investors. Asteroid Mining is an expensive, enterprising and exciting industry in its early infancy. It will attract investors because as part of any space portfolio, the risk is already factored in, and the rewards are definitely there � it is only a question of where and when. Who profited from Gold Rushes? The guy selling the shovels to the prospective gold miners made more than them. Both of them hold vital clues about Asteroid Mining. The space infrastructure business supporting the extraction of resources from asteroids will be profitable before the asteroid miners, who also must not promise a sky full of diamonds only to serve up comet dust. Financial Times - Interplanetary players: a who�s who of space mining. Companies plotting to put robots into space need funding anchored here on Earth. Parabolic Arc - Asteroid Property Rights Legislation Introduced in Congress. The race is on to mine asteroids, even if it is just a legal milestone. Will Asteroid Mining Crush Fiat Economies? This article was one of newsletters. Mining the Moon, harvesting Asteroids, and Extracting Resources from Space are far-flung ideas and locations (except for the Moon) and niche businesses are developing plans to unlock massive wealth in the form of energy and precious metals. Could this new industry be the ultimate Black Swan for our current age of limitless digital money? A deep review of the articles in the mainstream and alternative financial press reveals a spreading monetary illness that is seeping through the bodies of modern, industrialised, Western Economies: The rise and rise of the fiat economy parallel to the rise and rise of the demographic time bomb as the scale of retirees begins to outweigh those who not only earn money, but want to save it for the future. To cater for the fast approaching and impacting future, economic policy is resembling a game of musical chairs at a techno-rave, while our economic masters are waltzing to classical music kicking the can down the road, ringing a bell and singing, �Your pensions are safe, fractional reserve banking is safe, negative interest rates are for your own good. � It�s not a problem until it is, and the problem has definitely been pushed into the future. Many economies are geared to pay something �owed� in the future, but not really sure how, and until the climax arrives, political hand-wringing and thumb-fiddling goes hand in hand with economic wizardry and grandstanding, e.g. watch me shoot my monetary bazooka at low-demand economies. An increasing money supply must lead to inflation. In short, paper money is an IOU, there are more IOUs than ever before, demographics are taking a mysterious toll on the economy (think of the financial disconnect between longer-living Baby-Boomers and less-than-zero-savings Millennials � nothing personal, sometimes history can be cruel) and all wonderful system leads to collapse. What holds value are tangible things like property, antiques, business that make money, and precious metals. 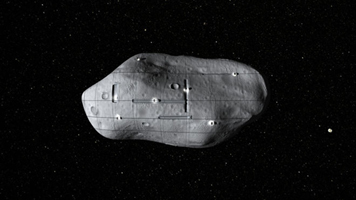 And that�s where asteroid mining, or maybe just mining the moon, comes riding to the rescue. The solution for expensive space resources extraction operation is of course to chase more profitable resources, like sifting Helium-3 from moon dust, or extracting and purifying water from comet and asteroid slush to be used for space missions. No-one yet has the definitive business model for asteroid mining, but we and many others are working on it. Asteroid Mining will happen because it goes hand in hand with space exploration � all explorers utilise what they find on their way. Asteroid Mining might be destined to have very little impact on earth economies, but what if a disruptive asteroid miner sees an opportunity in scaling up the availability of the un-available? There is nothing stopping a successful asteroid resource operation from targeting a sector with a long-term plan, dependent on what can be found in abundance of course. On earth, the gold supply only increases about 1-2% per year. What happens if this accelerates at a rate of 100%, every year, for 10 years, thanks to gold extracted from asteroids, or some huge golden vein beneath the silvery dusty surface of our moon? Would that be akin to many centuries ago (when the population was a fraction of what it was today, and the wealthy were a handful, not a mass market trading paper instruments) when a gold coin was real gold? Only those who are over 100 years old could remember when your wealth was measured in gold coins, and not an abstract number residing in a bank�s digital ledger? Labour and property payments could be settled with a currency based on a precious metal, not with promises written on bits of paper; values determined by the ability of your government to enforce one law for the many, while also supporting a subversion of these laws for select others. At some point there can be equilibrium where money is real money � paper as an IOU, a combustible substitute, is no more because well there is no more use for it. Yes it would take a massive inflow of physical gold to make its way into your wallet, but it would be a viable exit to the days of fiat money, and even fractional reserve banking. A bank could be a bank (and worth robbing), where true wealth is measured in ounces of gold and not in digital entries. The disruptive threat of asteroid mining is hard to implement, but in former times the opening of the New World to the old caused empires to rise and others to thieve. History was written, the Middle-Ages came to a close. Asteroid Mining, and other resource allocation from space, as a base for space exploration, will unleash surprises back on our current economies, making them look very old world, and worn out, like a an old wrinkled bank note waiting to be surpassed by something more valuable.